This is a very interesting tidbit from SBS Diva's blog. Loyal readers of my blog will know that I specialize in deploying CRM on Small Business Server networks. We have had a number of conversations with companies who have outgrown ACT and need to move up to something more robust. Along comes ACT 2005 which uses SQL as its backend, and it looks like it might be the way to go for users who are accustomed to using ACT. 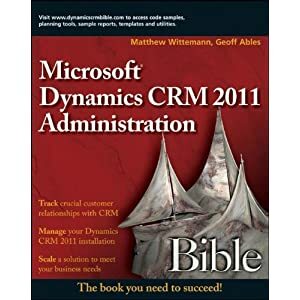 In all the sales talk I got from Best software, I never was told that ACT 2005 is not compatible with SBS. This seems like a tremendous oversight (or worse) since their target market for ACT 2005 are companies with 10-25 users, a nataural fit for SBS. Well, so much the better for those of us who sell Microsoft CRM. Thanks, Best software!